You’ve probably already heard that fiber optic internet is faster than traditional cable but did you know it is also less susceptible to outages, interruptions, and security breaches? Below, we take a closer look at the factors that differentiate fiber and cable internet, and what these differences mean for your business productivity, customer satisfaction, and bottom line. A fiber optic cable is a network cable that contains small strands of glass inside an insulated casing. The fiber optic cables transmit information using pulses of light, making it more advanced that traditional cable. Most cable internet companies now utilize coaxial (coax) cable, a type of cable made of a copper core with a metal shield, to carry communication signals. Data is sent via electricity over coaxial cables, which is fast but just can’t match the speed of light. Fiber also has the characteristic of being symmetrical, meaning it offers the same download and upload speeds. This can be crucial for business that require frequent file transfers or data backup. Speed and symmetry on a copper cable connection depends on the length of the copper line, number of users on net, type of applications, amount of data traffic and technology used. Although it can feature high download speeds, the upload speeds in reality tend to be far lower. And while both fiber and copper will experience a loss of signal strength in long cable runs, in distances over 100 meters, fiber will lose only 3% of its signal while copper will experience a 94% loss of signal. That’s a big difference. Fiber internet is a highly sustainable, next generation technology with the capacity to meet the high bandwidth demands of an ever increasing number of connected devices. Delivered over a dedicated line, fiber provides consistent throughput even during high-traffic periods of the day. It also has the characteristic of being symmetrical, meaning it offers the same download and upload speeds. 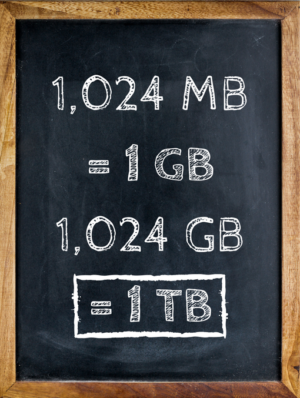 This can be crucial for businesses that require frequent file transfers or data backup. Furthermore, multiple users can download or upload, share files and stream simultaneously without affecting overall speed. Cable internet bandwidth is limited to the size of the physical cable and is shared among several users within a region. This causes a reduction in availability during peak usage periods, which often coincide with traditional work hours. Fiber is dielectric, which means that no electrical current flows through it. This makes it resistant to fire and electromagnetic interference (EMI) from lightning, adjacent power lines, and radio signals. Physically, fiber is also more durable. It can withstand around 100-200 pounds of pressure so it is less likely to be damaged during routine operations or falling debris. We have seen fiber optic lines still holding with trees laying atop them from a storm, while the cable lines lay broken on the ground. 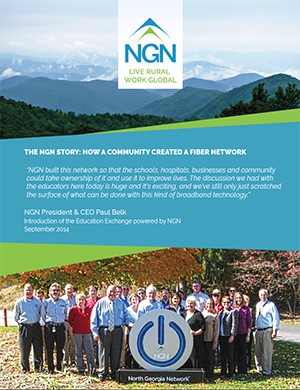 NGN’s fiber optic network provides NGN Connect customers with broadband speeds that rival the fastest in the world. Most internet services in our region use traditional copper or coax lines. That is why our customers trust their critical business operations to the fastest and most reliable internet solution in the area. Industry-leading gigabit connectivity powered by fiber sets their business apart. NGN Connect focuses on what is most important — a dependable, state-of-the-art internet connection at a fair and cost-effective price. With our internet, you can select the options you want for telephone and TV – using internet-based solutions that are easy and can save you money (find out more about “Cutting the Cord” in our blog post). In addition, NGN Connect now offers Voice Services, which go beyond the basics of a typical telephone line and give you extra tools such as auto-attendant, call forwarding and backup – so you never miss an important call. Interested in learning more about NGN Connect’s suite of services? Our locally-based team is here to help. Contact us at info@ngn.coop or 706-754-5323.